Help us to set a legal first, the right to challenge CPWL’s, the “new ASBOs.” They have no burden of proof and thousands of people are getting them. The police or local council can give you a Community Protection Warning Letter acting on the say-so of vindictive neighbours. If, like us, you are the victim, yet you’re being punished, you have no right to defend yourself. Often you will not be told what you’re supposed to have done wrong. This is not right…the Law must change…please help us make this happen. We have been harassed by our new neighbours Dr Stephane Duckett and Norinne Betjemann ever since they bought the property opposite us to use as a weekend home 5 years ago (see ‘Problems we have Experienced’ listed below). They refused official mediation in 2016. Dr Duckett is a Clinical Psychologist at a London Hospital. The police and council advised us to go civil, so we started the ball rolling by getting a harassment lawyer and issuing a Subject Access Request in February 2017. Harassment continued. In October 2017 Sheila and another woman were threatened by an off-duty policeman who was very new to the village. His name is Perry Lathwood. We believe our neighbours joined with him to get the ASBO on us. We were led to believe that both sides of the story would be investigated and both parties would receive a letter. They weren’t. Only we were punished. Our son George also got an ASBO letter, even though he does not live with us and was studying for his final year of a law degree in London. We could not tell him about this over the phone; we had to go and see him to break the shocking news. Here is the ASBO letter. The exclusion zone is shown below. The ASBO letter has a devastating effect on all of us. 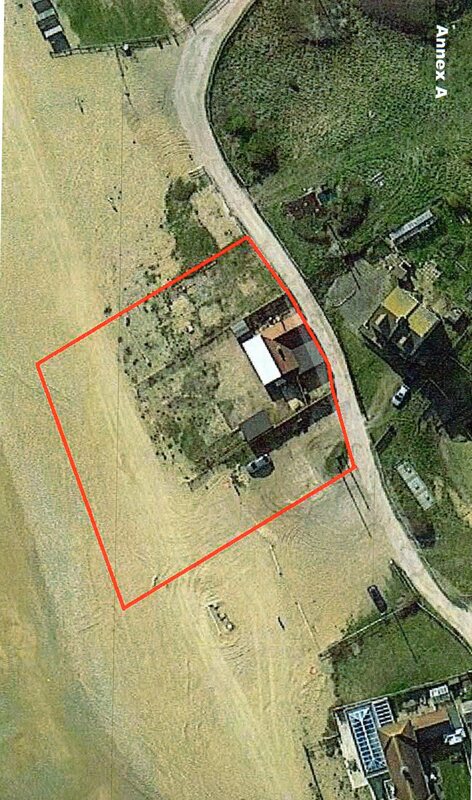 It bans us from looking into any property in our village and from walking directly out of our house to the beach (see Exclusion Zone below) something we have enjoyed doing for 26 years. We were in a state of shock for two months; it was impossible to get clear advice about what to do. It has effected all aspects of our lives. For our son, to receive this whilst he was studying for his law degree finals was an immense stress. Since we got the ASBO, Duckett, Betjemann and Lathwood have threatened and harassed us further. The ASBO letter has legitimised their anti-social behaviour and enabled them to turn people against us. Cop Lathwood has been policing the ASBO when off-duty and continually watches, stops and stares whenever he sees us. This is intimidating. In August we were hauled back into Bexhill Police Station for a further 4 hour interview on the basis of further allegations made by Duckett, Betjemann and Lathwood. Once again we informed the police that we have not been anti-social. We are awaiting the results of this interview. We have now spoken to several people who have suffered at the hands of Duckett, Betjemann and Lathwood. Despite the fact that some of them have provided reports to the police, showing that we are the victims, the police have refused to withdraw the ASBO. It hangs over us in perpetuity. The police have failed to investigate all the problems we had reported between 2013 and 2017; part of our legal challenge is that this has been a one sided investigation. We have already spent £10,000 of our own money. We need help to take this further in the High Court and establish a legal precedent. In the absence of a right of appeal a Judicial Review* is the only means we have of getting the letter quashed. Our success in this matter will help others. Our top legal team has agreed to work at a reduced rate as this is an important Public Law case. In their first legal response The Chief Constable of Sussex Police stated that he “considers the Secretary of State for the Home Department to be an interested person whom (we) should inform” (i.e. this needs to be referred to the Home Office). Please can you donate and spread the word to make sure our case can proceed all the way. The map below shows the exclusion zone outlined in red. Our house is to the right. We are now banned from walking straight out of our property to the beach. The police also instructed that our normal access to the beach be closed off and ordered the removal of a large log on which we used to sit. It took a year for the police to respond to our 2017 Subject Access Request. This photo shows where we used to sit on the beach. There is public access to all of this land; we’ve walked here for 26 years. There used to be a log here on which we sat to look out to sea or watch the stars at night; this has now been moved and our access across this land blocked. Our house is the tall building to the rear. 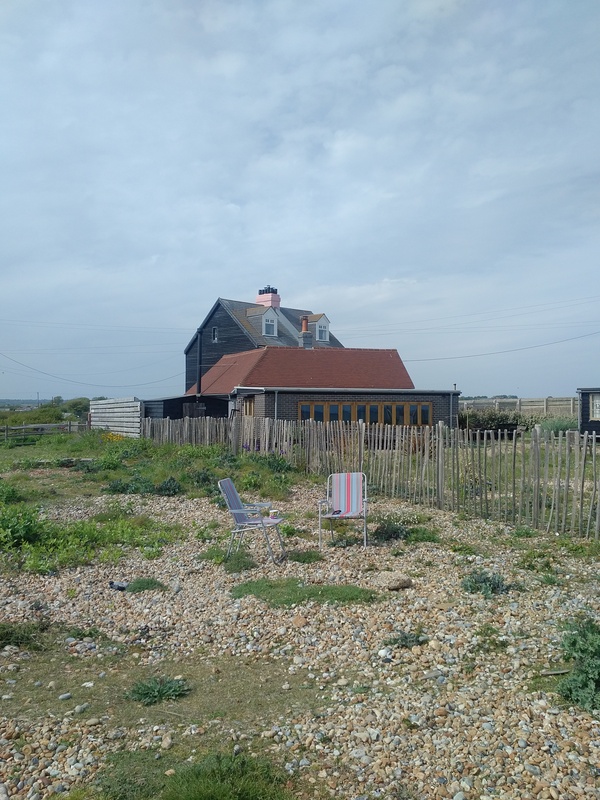 When we look at our house from the beach, Dr Duckett and Ms Betjemann 'perceive' that we are looking at them. Its not up to local councils ie councillors and council executives OR police to make up laws, this needs fighting all the way. I hope you make it sorry its not more I am up to my ears in a similar legal battle. Having written to the Chief Constable saying Sheila would not attend a third voluntary interview on January 4th we were told she may be arrested by one police officer, and that she did not need to attend (and would not be arrested) by another. We are seeking clarity on that point! As per our previous update, we suspect the neighbours have been reporting us for being on the beach, despite the warning letter having no further effect and despite them having finally agreed to start mediation. We are asking the police whether they've told the neighbours we have the right to the beach. On the same day the police spent an hour and a half at our neighbours whilst we were on the beach. Hopefully this means the police have now seen that our being on the beach is not a crime and they will tell the neighbours to stop wasting police time. In a separate development we have had to report the off-duty cop Lathwood again. He came and sat watching our children (home for Christmas) when we were on the beach. In the meantime we are still awaiting a decision by the High Court as to costs of our Judicial Review of the decision to issue us with a Community Protection Warning letter. If we have to pay Sussex Police and Rother DC's costs we will have spent about £15,000 fighting this only to find out that we could have ignored the letter in the first place and (following the second interview in August) that the letter had no further effect. For this reason we are reducing our stretch target from £30,000 (maximum likely costs if the Judicial Review had proceeded) to £15,000. If we need to proceed further we will update the case accordingly. Many thanks for all your support...please share on Facebook if you do that kind of thing! Here's to success in 2019. Sheila has been invited in for a 3rd police interview on the basis of further allegations by our neighbours (Norinne Betjemann and Stephane Duckett). This perpetual harassment should have ended by now; we need your help to make this stop. Just before Christmas there was a knock at our door. We were upstairs and so opened our first floor window. The visitors explained they were from Sussex Police and wanted to talk to Sheila. We had not seen these police officers before; that takes the total number of police officers we have dealt with in the past year or so to around 20. Two days later we received the letter inviting Sheila in to Hastings Police station under the Public Order Act. No details of which section of the act or the allegation. Is it an abuse of police powers? Is there racial prejudice here? Why, given that the neighbours finally "accepted" mediation a few months ago, are they making (presumably) the same allegations. Why do these new police officers feel they have reason to act on these allegations when Sheila has already been interviewed twice about being on the beach near our house...with no further action being taken as a result of the last interview in August? In the words of one of the decent police officers we have dealt with...this has gone too far. Our Judicial Review of the original decision to issue a Warning Letter is awaiting a decision on costs by the High Court. To defend Sheila or take an action against the police we need your support. 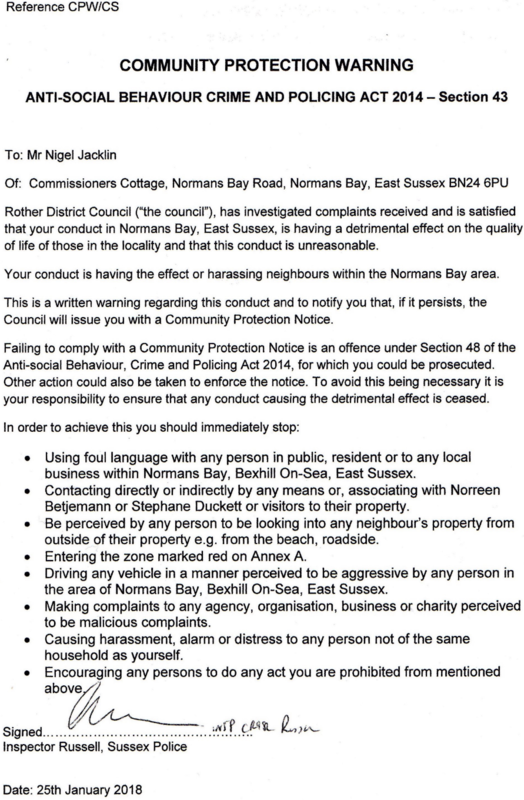 After several weeks of emails between our legal team and the legal representatives of Sussex Police we have been told that we (and presumably anyone else in our situation) will not get anything normal and formal to say our Community Protection Warning Letter has no further effect. This is a travesty of justice. We will continue our fight to ensure others do not end up in this situation. In August we were interviewed on the basis of allegations that included causing our neighbours alarm and distress during the week (when they were not at their weekend home), by photographing their new CCTV camera and doing yoga. There were additional allegations from an off duty metropolitan cop that we caused him alarm and distress by filming him (when he was filming us). What a complete waste of time! On Sept 12th we received a letter from Sussex Police saying "no further action" would be taken on the basis of the above allegations. Whilst our legal team have been able to confirm (in lawyer to lawyer correspondence) that we cannot be issued a notice without a new CPWL...as can be seen from the police lawyers email below...Sussex Police will not provide us with a simple letter saying our CPWL has no further effect. This means we cannot easily prove this to any interested parties. We will be reconvening with our legal team to decide how to take this further and to discuss the issue of costs! EXTRACT FROM SUSSEX POLICE LAWYERS EMAIL...we had sent them a proposed 'cancelled' letter for Sussex Police to sign/authorise...they refused. "No formal letters addressed directly to you client will be provided. Any markings your clients choose to make on papers they have are matters entirely for them but are not matters appropriate for comment or endorsement by us and we decline to do so." Interviewed and acquitted but letter still remains in place. In August our neighbours and their off duty police friend made further allegations against us. We spent another 4 hours in Bexhill Police Station. We were interviewed by a more senior Inspector from a different team who concluded that no further action should be taken. Despite this Sussex police have refused to rescind or remove the warning letter from us and so we still need to proceed with our Judicial Review. If the letter remains in force we are at risk of allegations being made against us, further police interviews and the possibility of a notice followed by prosecution. We have 15 days left to spread the word and get to our funding target. This money has helped us to establish that Community Protection Warning Letters have no legal force and can be ignored...especially if you do not engaged in anti-social behaviour. We need to take this further to provide a means of redress for people like us who have been given them unfairly, when they are not engaging in anti-social behaviour. The most recent allegations included causing alarm and distress to our neighbours when they were not at the property by filming their new CCTV, doing yoga on the beach as well as photographing the off duty policeman when he was photographing and watching us. We need to prevent CPWL's being misused.